This Bai Tu Long bay trip has the whole 4 days in Bai Tu Long bay and island, including 1 night group tour on Dragon Pearl junk among the bay plus the next 2 nights private tour on Quan Lan island. 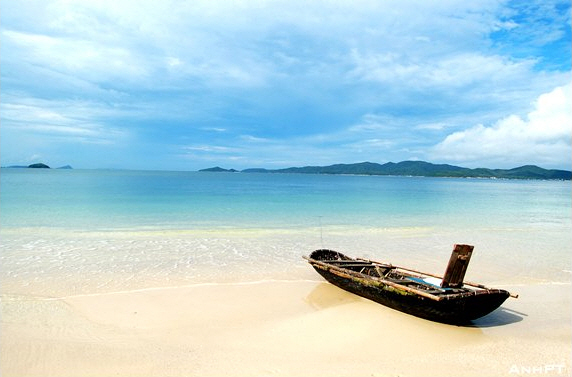 Stay near from Son Hao beach and Quan Lan beach, the most 2 beautiful beaches of the island. Travel by shuttle bus and speed boat. 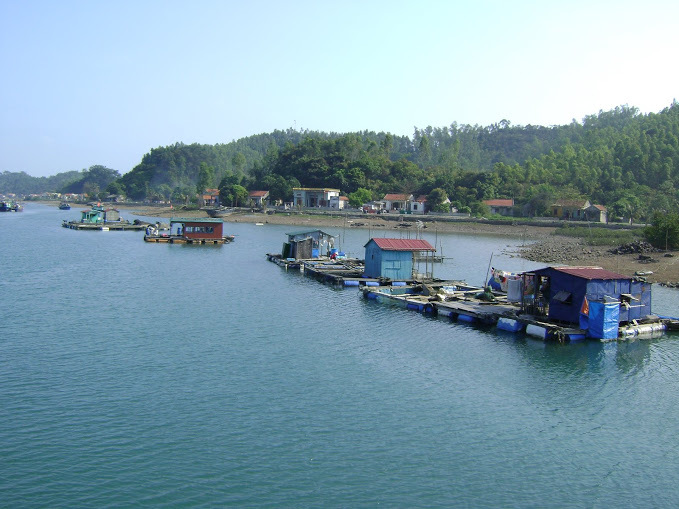 There are 2 ways from Halong city to Quan Lan island. 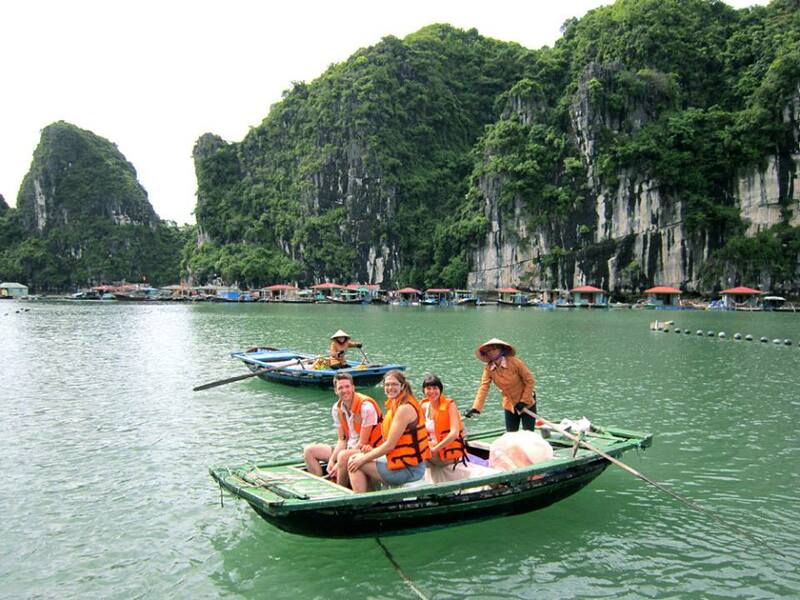 This tour opts the direct route by speedboat from Halong city (Hon Gai harbour) to Quan Lan island (Quan Lan port). 8:00 – 8:30 our tour guide picks you up at your Hanoi hotel. Morning transfer by cruise shuttle bus to Halong city passing through Bai Chay bridge, the symbol of Halong city. Arrive at Hon Gai harbour at around noon. Check in Dragon Pearl junk. 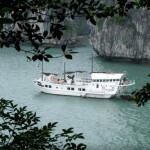 Have lunch while cruising in the magnificent Bai Tu Long Bay, admiring the fascinating rock formations in the bay. Enjoy swimming in the crystal clear water. Explore the secluded Thien Canh Son Cave. 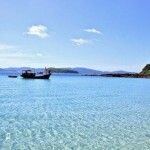 Short cruise to Hon Co Island where you can relax on a white sandy beach, swim or kayaking. Back to the junk for relaxation. Dinner and overnight on Dragon Pearl junk. Dragon Pearl Junk of Indochina Junk fleet is the only junk with full intinerary in Bai Tu Long bay, less crowded than Halong bay. Get up early to welcome sunrise on sundeck. Have breakfast in the open air. 08.30 Visit Vung Vieng fishing village in a rustic rowing-boat, meet the local people and pass through the floating school and fish farms. Then you have more leisure time for swimming in the middle of the bay. 10.00 Cruise back to the harbour while an a la carte lunch is served. 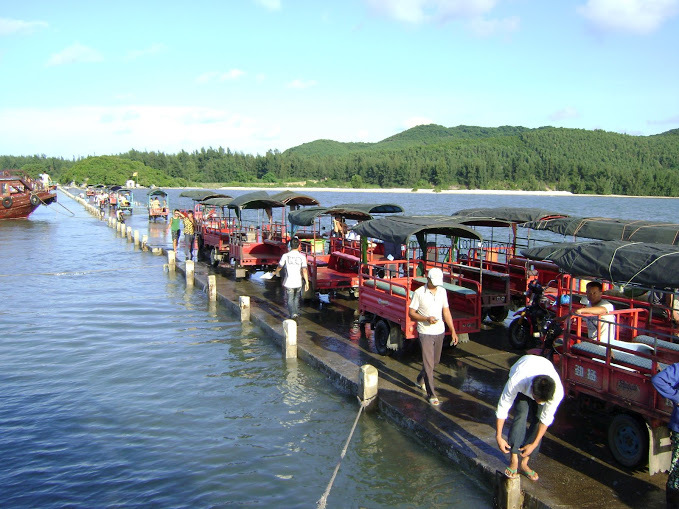 Visiting Vung Vieng fishing, the best well-known one in Bai Tu Long bay. 11.45 Disembark Dragon Pearl junk. Then you meet our tour guide from Hanoi again at Hon Gai harbour. Join speedboat to Quan Lan island, Bai Tu Long bay. Speedboat departs from Hon Gai harbour at 14:30 – arriving at Quan Lan wharf at 15:15. Transfer by Tuk-Tuk cab to the hotel nearby. 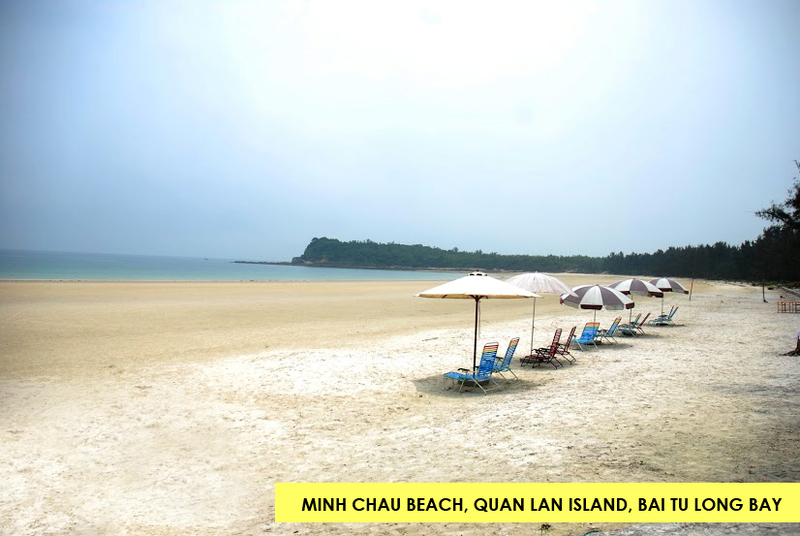 Check in and free beach leisure at Son Hao beach and Quan Lan beach. Overnight in Quan Lan island. Arrive at Quan Lan wharf in the afternoon. Our private Tuk-Tuk cab and driver will transfer you and our guide to Song Chau villa, the best 3-star hotel of Quan Lan island. 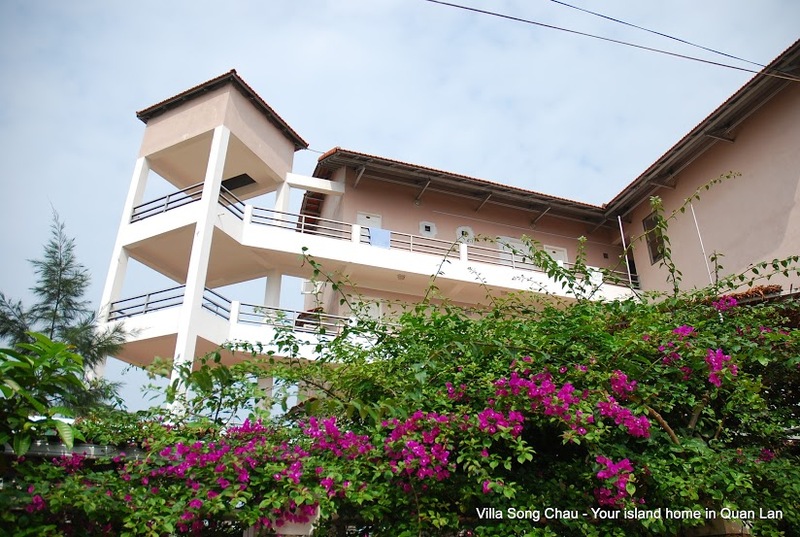 Song Chau villa is your island home in 2 nights on Quan Lan island, Bai Tu Long bay trip. Breakfast. Today you will have private bikes for all-day-long, and especially on the morning, our tour guide will cycle with you along the coastline from Quan Lan beach to Son Hao beach to Minh Chau beach through the pine forest, lagoon, Quan Lan town, Quan Lan temple. Enjoy swimming in Minh Chau beach, then cycle back to the hotel. 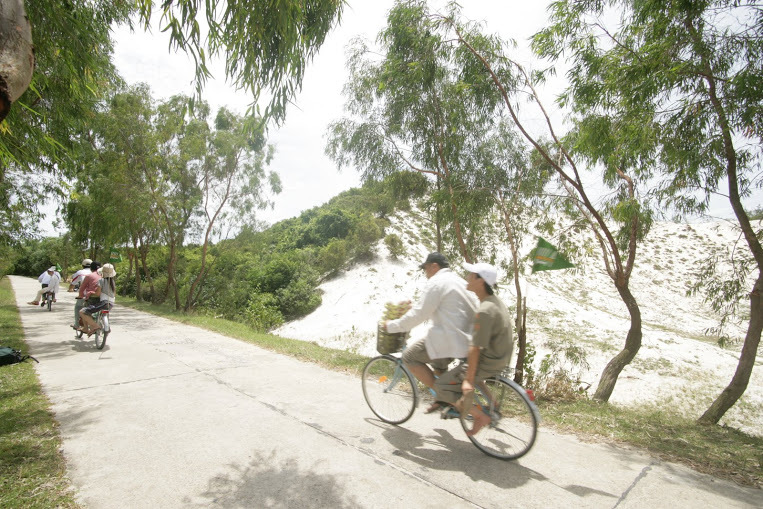 Afternoon is your free time to explore Quan Lan town or beaches by yourselves with private bikes included. Lunch and dinner are arranged by yourselves. Overnight in Quan Lan island. 15km cycling along the coast of Quan Lan and white san dunes from Song Chau villa to Minh Chau beach, visiting Quan Lan downtown, Quan Lan temple and the best beaches of Bai Tu Long bay. Enjoy early morning breakfast then take private Tuk-Tuk transfer to Quan Lan wharf. Speedboat departs at 7:00am from Quan Lan to Hon Gai harbour, Halong city. Upon arrival, you take the shuttle bus Phuc Xuyen Limousine or Kumho with our tour guide back to your Hanoi hotel. Arrive in Hanoi at 13:00 or 17:30 upon the bus schedule available. End of services. 1 night on Dragon Pearl junk + 2 nights in Song Chau Villa hotel on Quan Lan island. Shuttle bus transfer Hanoi hotel – Halong city (Hon Gai harbour) – Hanoi hotel. Private Tuk Tuk transfer on Quan Lan island on Day 2. Kayaking in Bai Tu Long bay on Day 1. Private bikes on Quan Lan island on Day 3. 1 English speaking guide throughout the tour + 1 English speaking guide on junk. 3 breakfasts, 2 lunches, 1 dinner. 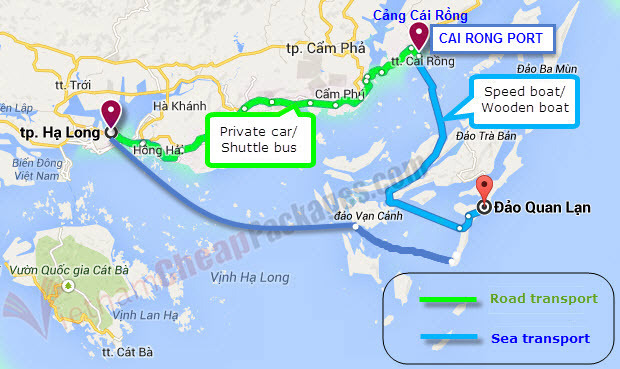 Speedboat tickets Halong city (Hon Gai harbour) – Quan Lan – Halong city. Other meals and personal expenses not mentioned above. Tips for the guide & driver. Bai Tu Long bay is becoming a must thing to do apart from Halong bay and Sapa. 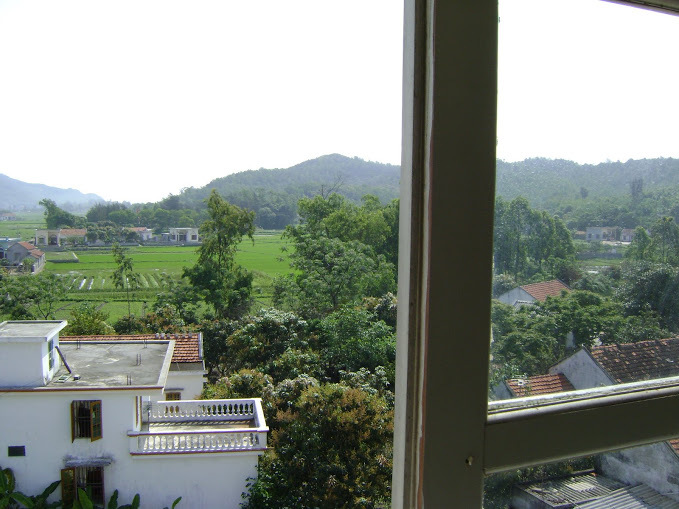 Contrast to Halong bay, Bai Tu Long is much less crowded and less travelled. The bay is 4 times bigger than Halong bay with only 40 overnight boats operate since 2008. 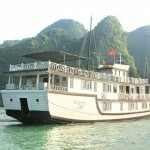 This Bai Tu Long bay trip suits both first time and second time visitors to Halong bay. It’s also good for both couples and group holidays. Beaches on Quan Lan island are safe for your kids with wide sand ground, crystal water and calm tides. Song Chau Villa is the best 3-star accommodation in Quan Lan island. 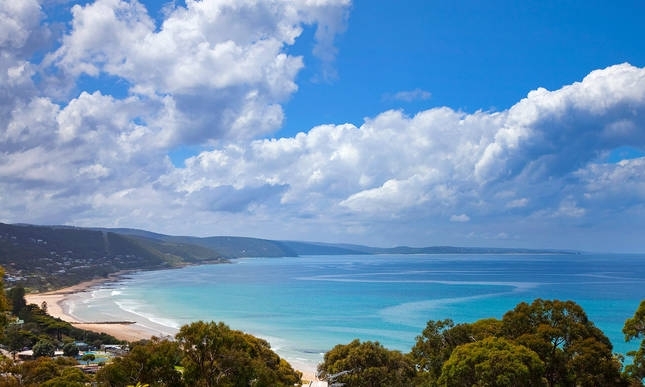 Though it’s nearly 1km from beaches, on Day 3 we provide you with private bikes hence you can visit the beaches easily. There are other guesthouses at very cheap price in the downtown, and the 4-star Minh Chau beach resort next to Minh Chau beach. If you would like to downgrade or upgrade, feel free to let us know. This Bai Tu Long bay trip is a guided tour. 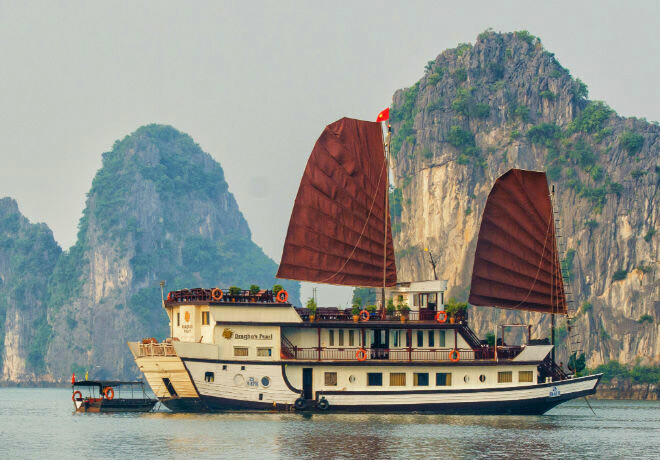 There are 1 English speaking guide from Hanoi supporting you throughout the tour, and another guide or cruise manager on Dragon Pearl junk to help you on cruising. Tour is nearly private for you, and departs at any dates matching your travel plan. July and August are the peak tourism time in Quan Lan island, so you should confirm to book this tour at least 1 month in advance. This Bai Tu Long bay trip ends at 17:30 latest, so it doesn’t matter if you have a night train to Sapa, or a late flight to Ho Chi Minh city. If our company can arrange a morning speedboat from Quan Lan to Halong city, certainly you will be at Halong city at around 9:00am, and arrive in Hanoi at 13:00 (4 hour driving). If the morning speedboat is fully booked, we will book the other one at 12:30 noon, then you will be at Hanoi hotel at around 17:30. Bai Tu Long bay: Where worthy visiting ? What’s up every one, here every person is sharing these kinds of knowledge, thus it’s nice to read this website, and I used to visit this blog daily.